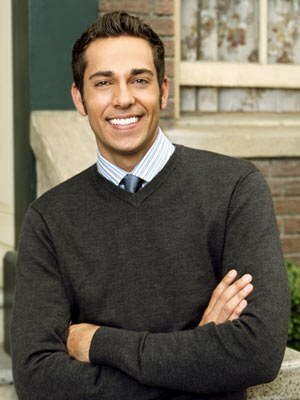 Zachary Levi Pugh, better known by his stage name Zachary Levi , is an American television actor, director, and singer known for the roles of Kipp Steadman in Less than Perfect, Chuck Bartowski in Chuck, and Flynn Rider in Tangled. Levi first appeared in the FX television movie Big Shot: Confessions of a Campus Bookie. He played Kipp Steadman on the ABC sitcom Less Than Perfect. He also portrayed a potential boyfriend of Charisma Carpenter's character, Jane, in the ABC Family television movie See Jane Date. Levi was slated to be a lead in an ABC pilot called Three for the 2004/2005 television season. It was written by Andrew Reich & Ted Cohen, and would have costarred James Van Der Beek, Jama Williamson, and Jacob Pitts, but the show was not picked up. Levi financed Kendall Payne's album Grown after she was dropped by her label, Capitol Records. He landed the starring role in Chuck, a series that has finished its fourth season. Levi and his Chuck co-star, Yvonne Strahovski, were both nominated for Best Action Actor and Actress Choice TV Series for the Teen Choice Awards 2010 where they both won and presented.In the summer of 2008, Levi was named one of Entertainment Weekly's Top Thirty People Under Thirty. He later starred in the film Alvin and the Chipmunks: The Squeakquel in the lead role as the Chipmunks' cousin Toby Seville. He stars alongside Mandy Moore in the 2010 Disney-animated feature film Tangled, which is based on the popular fairy tale Rapunzel. 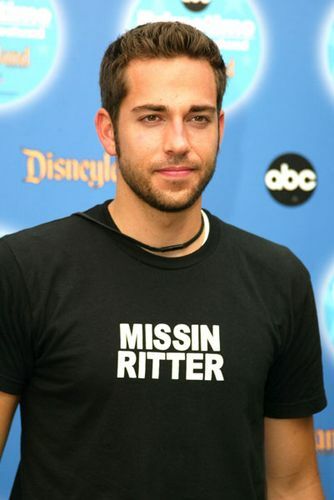 He voices Flynn Rider, a bandit who finds refuge in Rapunzel's tower. Levi provided narration in the 2011 film Under the Boardwalk: The Monopoly Story, a documentary about the game of Monopoly. In April 2010, Katharine McPhee released a preview of a music video to cinemas for her single "Terrified". Levi duets with her on the song (which was re-recorded; the original album version features Jason Reeves) and appears in the music video singing with McPhee. On May 3, 2010, the song was previewed on Entertainment Weekly's website and was made available for purchase on iTunes.The full video premiered on May, 7th, 2010 on the music video website Vevo.